I don't know how many times I went to the store to get a certain color for my cookie garnishes and they were out of that color. One year I finally got sick of beating the holiday rush of bakers and made all my own colors. I made orange, blue, green, red and then some lighter color like pink and light blue. You can make any color you want as long as you save your little glass jars all year to store them in, they will keep well for a long long time. I still have some left from last Christmas and it's now September already! I try to make all the color of the holiday during the year I will need it for. I made the cookies for my new grandsons baby shower. Whether you use this colored sugar to garnish your cakes or cookies, it sure will be a nice colorful touch. 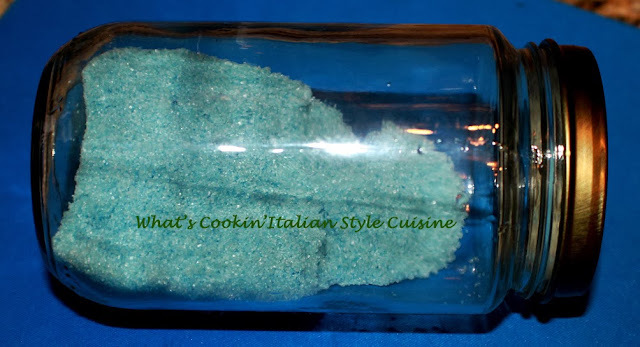 The colored sugars are much more economical to make homemade. You will never have to beat the holiday crowds again! Give them a try, they are so easy to make. 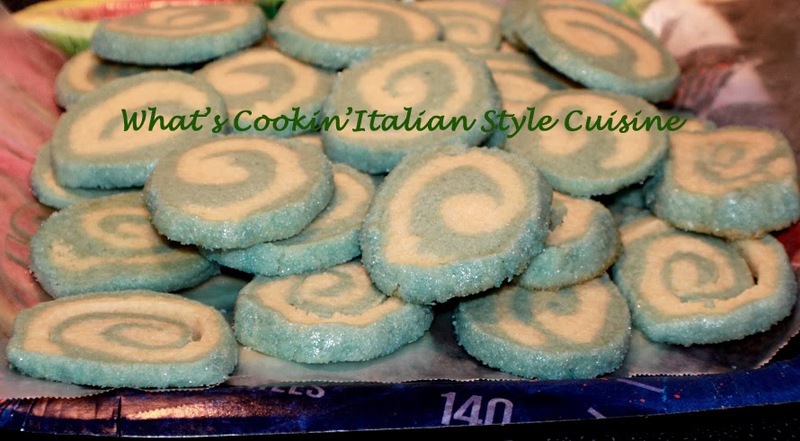 Check out that rolled blue cookie recipe above here. 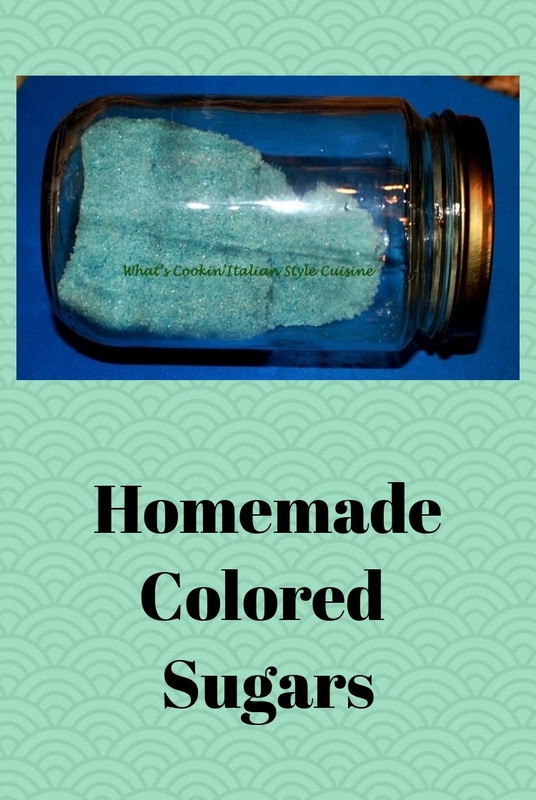 Save money making your own colored sugars. All you need is some old glass jars, sugar and let's get started for all your Holiday baking needs. Place the sugar in a clear glass dry jar. Add 2 drops of food coloring of choice and shake, add one more drop at a time shaking vigorously until you achieve the desired color of course the more you add the darker the color start out light for pastels. I shake this until the color is evenly distributed. I also spread it out on wax paper and a cookie sheet to dry first either several hours or over night. Place it back in the jar put the lid on top until ready to use. Easy and saves lots of money! Thank you sweet Claudia for always sharing such great recipes. I just copied this one. Dear Claudia, You always have a creative idea to share. The cookies look so sweet. I bet I know who they are for(wink). Perfect timing. Was wondering what to do to fancy up my refrigerator cookie rolls. Got some gold colored sugar in France but don't want to use it all. This way I can do some special purple trims this year with the gold. Thanks!